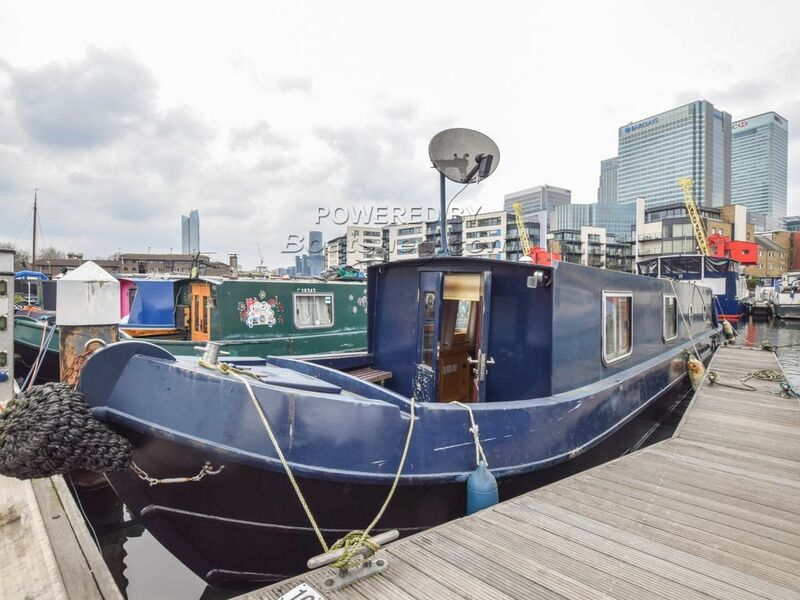 Boatshed London are delighted to offer this 39ft Narrowboat for sale with London residential mooring at Poplar Dock Marina. Built in 2009 by East West Boats, this compact narrowboat is ideal as a first boat for an individual or couple looking for the security of a residential mooring amongst a community of like-minded boaters. The East West range have always been fitted out beautifully with high quality wood used for the interior and clever layouts making the most of the length. This boat has a bathroom that belies it's 39ft length with large shower compartment and electric heads into the holding tank. The boat has Webasto central heating which also does the hot water and a stove for colder nights. The boat was blacked in February 2017 and the BSS runs until March 2021. Current mooring fees are £8,430 p.a. paid upfront, £9,100 paid monthly and the mooring is fully transferable on payment of a 5% transfer fee to marina management. Residential license holders have free use of the water, WiFi, laundry and pump out. This Narrowboat 39ft With London Mooring has been personally photographed and viewed by Angus Rose of Boatshed London. Click here for contact details. Please note that this now has 2 brand new leisure batteries, the stove is in working order with smokeless fuel available, the sofa turns into a double bed with storage underneath, giving 4 berths instead of just 2, internal painting throughout and that the boat has been lived on 12 months of the year by a non smoker. Porthole windows also have cushion inserts for extra cosy insulation.